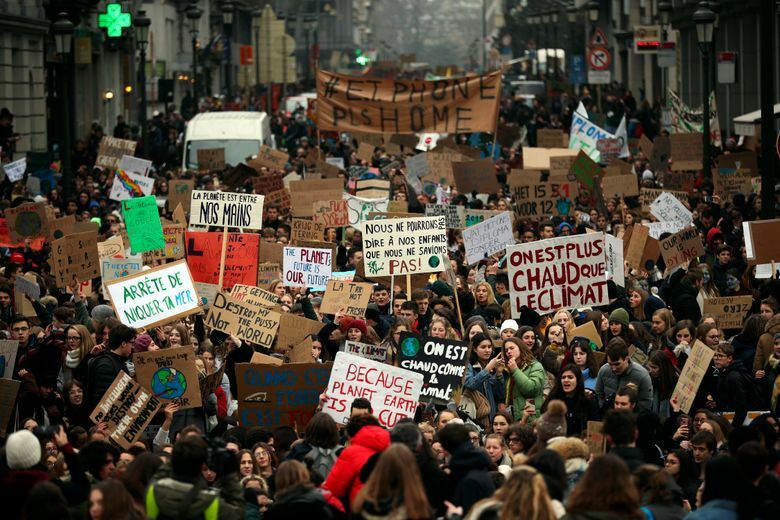 BRUSSELS (AP) — Thousands of students skipped school for the third week in a row and more than 30,000 swamped the center of Brussels to demand better protection of the world’s climate. “The planet can do without us, but we cannot do without the planet,” was one of the many signs carried around. Chants of “Youth for climate” were heard around the center of Brussels and the din of youngsters was reminiscent of fans cheering a famous football victory. “It is something very important and I am really happy to be here with my friends, and save the planet,” said Kate Merhy, a 16-year-old student. “We want to show our solidarity with our grandchildren who are so numerous here, and honor those who are trying to do something,” said Michel Depaepe, a grandparent of one of the demonstrators.